Oh dear what a fuss over 8 mm. The solution is simpler.On the copy make a mark on each rib 8 mm from the TE Next cut off the TE at the joint with the ribs. Now guess what lay the cut off TE touching the marks on the ribs and stick it down carefully.. You don't need me to tell you with what do you ?Once stuck you can use the tougher copy to build from You might have to adjust the tip to TE fit. No 8mm is to great an error to correct as you describe, also is there an error only in one direction or copying errors have occurred in both directions, or very probably a different copying error in the other direction. With all the time,effort and money to build a plane, I , anyway want to make it correctly. I believe that the designer of the plane has gone to a lot of effort and experimentation to get the plane correct, i.e. flying the best he can get it. I am quite happy to alter a plane, but it must be built correctly, before modifications are started as without a 'true' plane to test various modifications on you have no idea what caused a problem or what helped the plane fly better. I work on the 'only alter one thing at a time' school of thought, when repairing or modifying something, otherwise you don't know what you did that correct or worsened a situation. For people that still work or think in inches, 8mm, according to my maths, is around 5/16 of an inch, i.e. an error larger than 1/4 of inch. To my thinking this is a huge and unacceptable error that must be avoided. I am aware that a paper plan will stretch and shrink depending upon the weather, particularly humidity, but errors caused by changing weather would be nothing like 8mm error I experienced in my copied plan. I hope for your enjoyment of model flying that you are just being frivolous. With errors of 8mm being regarded as a trifle, any plane constructed with that degree of error in the plans being accepted are unlikely to fly well. Once I have copied the plans and transferred the image to balsa and then cut it out I always check it against the original plan for accuracy. On my Red Eagle build i have changed the size of the main wing spars as I was unable to obtain the size stated on the plan. I would like to see some pictures of your build as it sounds like you are doing a great job. As for my build I have started to cover the outer wing panels. I need to incorporate the wash out as I cover the panels this has proved quite difficult and have achieved it on the first one but it does not measure up to the dimension on the plan i think it should be 10mm, mine is more like 7mm. anybody got a good tip for doing this. Hi LHR Dave, from my building experience get that wash out right, it does have a huge affect when flying re stalling. Once with a stubborn wash out that was not correct I used a heat gun and heated both sides of the covering and twisted the wing in the desired direction as the covering cools. I over twisted in the amount of wash out required so when it inevitably straighten a little on cooling the desired wash out emained. (Two people are useful for this) I also have a flash temp controlled heat gun so can you set the temp on so the covering will get hot but I don't burn holes in it. If this doesn't do the trick I guess it is cut appropriate glued joints in the wing to give the required washout and then reglue the joints in the proper position. Make sure the washout stays in place over time and does not straighten out. I had today lined to work on the glider all day, but it looks as if I might have to assist my wife with a very tricky situation at her work, that may involve a 6 hour journey out into the country. There is always tomorrow!!! Mean while I sit here in my good clothes waiting to see if I am needed. I will post some pics shortly of 'Red Eagle', all I have so far is the the rectangular section of the left hand wing, not fabulous interesting stuff. I had trouble finding the spars too, but a shop out of stock ,put me on to someone that had spars, and I cleaned them out as they only had 6 1 metre spar lengths. For some reason spruce is difficult to buy and is expensive in NZ. Often wondered why spruce is not grown here?? Yes, just live with it at 7mm. The washout on a model like the Red Eagle's wings won't be at all critical. In fact zero would probably be fine. 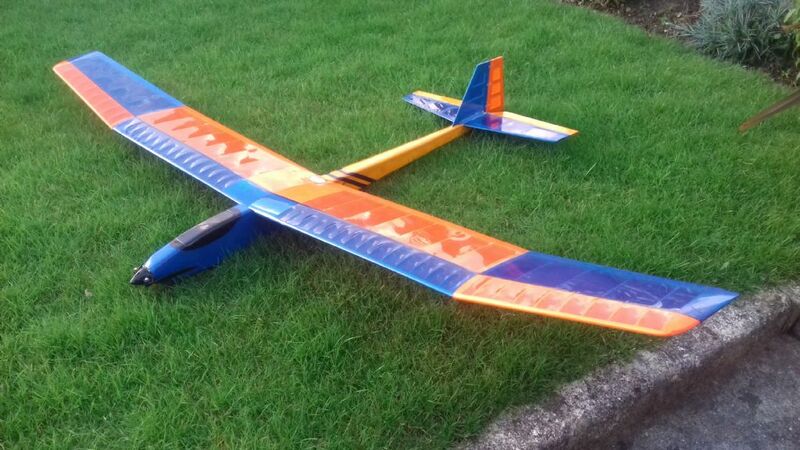 When I built mine I forgot to build in the washout, it flies just fine! The spar size has been a problem for many builders, it seems a common size where Ton lives but nowhere else. I just modded the rib slots to suit what I could get. When you get to the fuselage build you may want to add a little local reinforcement around the formers where the wing sits as catching a wingtip on landing can cause stress fractures in that area. The RedEagle is looking great and love the colours. On the drawing the CG is 80mm but best location is 90mm from the leading edge. Don't know if you have that already, but thought I should mentioned it to make sure you have the best CG setting. Enjoy the maiden and stay away from thermals because your into some long flights. 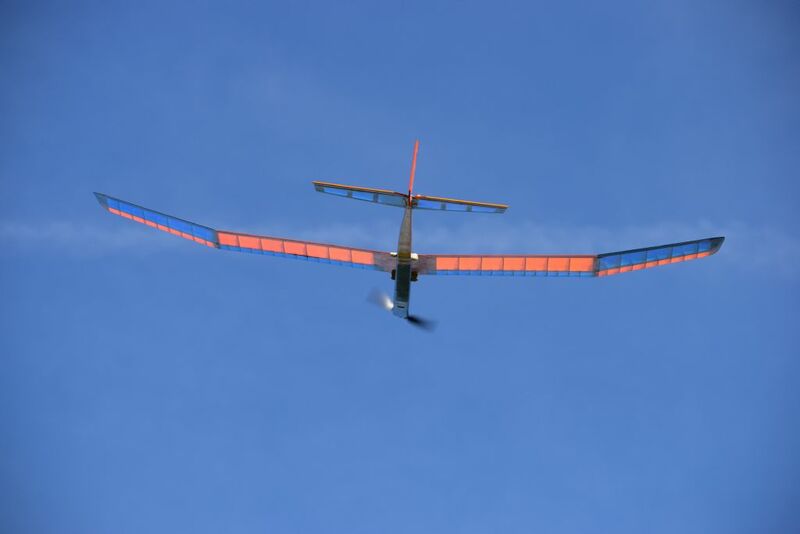 I thought i would report on the maiden flight of the red eagle. Well the flight did not last very long , I hand launched into a light wind probably 8mph the red eagle lept out of my hand and went up like a rocket. I levelled out and went into a circuit and brought it back into wind. It did not feel right and decided to come into land the Red Eagle descended at a fast approach and it was at this moment that the wings folded and it hit the ground short of the strip. The wings ripped out of the mounting blocks and the carbon joiner was shattered.The front end of the fuselage was smashed to the extent the motor firewall parted company along with the front end of the fuselage breaking up. All is not lost , the wings are unscathed and i think i will join them permanently with a brace and fibreglass bandage. As for the fuselage it is nothing that I can,t repair. Im not sure why the wings folded maybe my carbon joiner was not up to the job or maybe it came in faster than it was designed for. Anyway it will live another day , but the repairs will probably not begin until the winter building season is upon us. Sad news, after all that work. That's a real shame Dave! I used the recommended wire size as my joiner and I have looped and spun my Red Eagle with no problems. She should repair easily, mine got mid-aired last year at a great height and suffered quite a lot of front end damage which repaired easily. Persevere with it, she will reward you over and over again! I had a similar experience with mine but fortunately after several flights. The failure was not the joiner but the main spar and I have attributed this to my poor selection of the correct grade of balsa or spruce for critical items like the main spars. My repair included the insertion of cf along the mainspars. No problems now except for the trees. Due to a bad period of weather and not being able to get out to the field , I have been able to repair the Red Eagle. I have joined the wings together permanently with a new carbon joiner and epoxied them together, I then put a fiberglass bandage over the join and recovered the solarfilm. The front end of the fuselage was repaired relatively easily and i have added dowels at the front and back of the wing area to allow the wing to be banded on as well as the two plastic bolts at the rear. I hope my belt and braces approach will be the answer and hopefully the next "Maiden" flight will be successful. Will try to add a photo at the weekend. My Thoughts are that I found Red Eagle quite difficult to steer where I wanted. Conditions were near perfect very light winds. 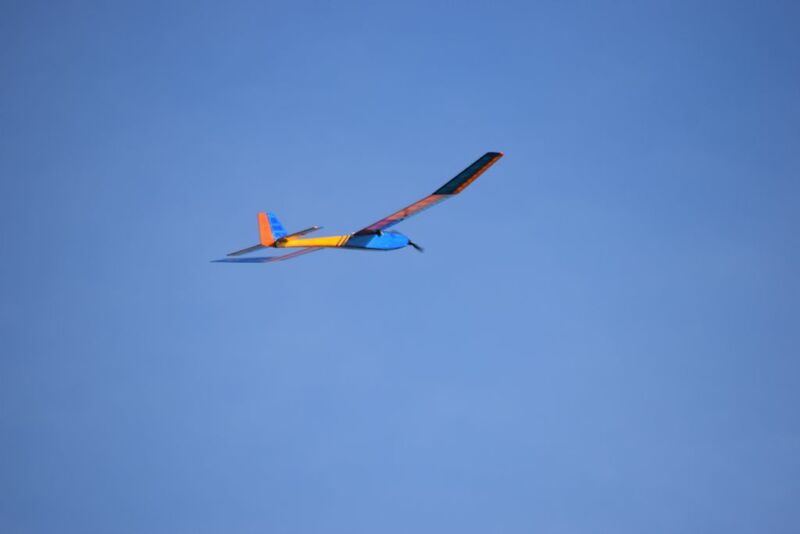 Perhaps It was me try to fly it like an aileron aircraft. I will revisit my control throws. But at least it flies and the wings are strong now. 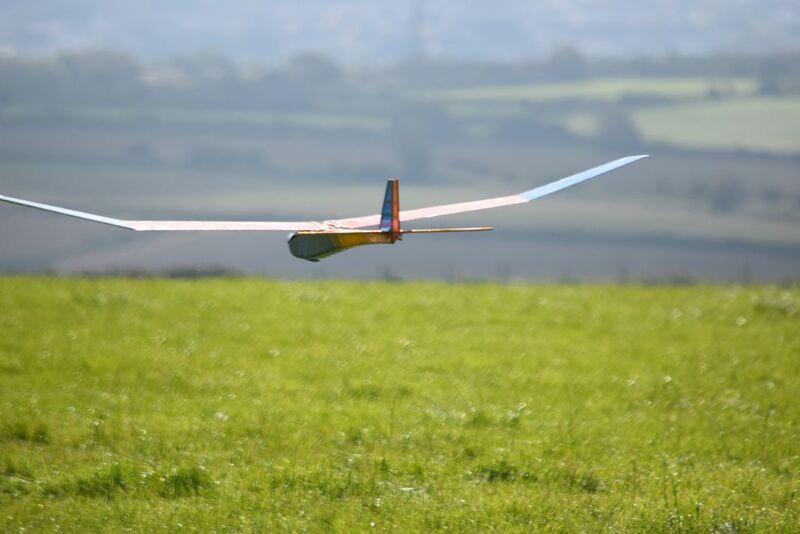 Dave, thanks for posting the pics the RedEagle looks great in the air. Red Eagle looks amazing, great job of finishing and fixing it up, looks the part in the air! Did you manage to sort out the directional problem? Think I setup the throws as per the plan and it flies perfect. I accidently stripped a servo setting up the elevator throws and that would have made a right mess! Well hope you got it sorted out and it's flying great!